In my quest to get into leather whip making, I needed a nice granite slab for rolling the whips properly and for other leather working projects I may undertake. Tandy Leather sells them, but I didn’t want to pay $100.00 plus shipping for one of them. On a trip to Valdosta, GA. last weekend, I found a place called South Georgia Granite. 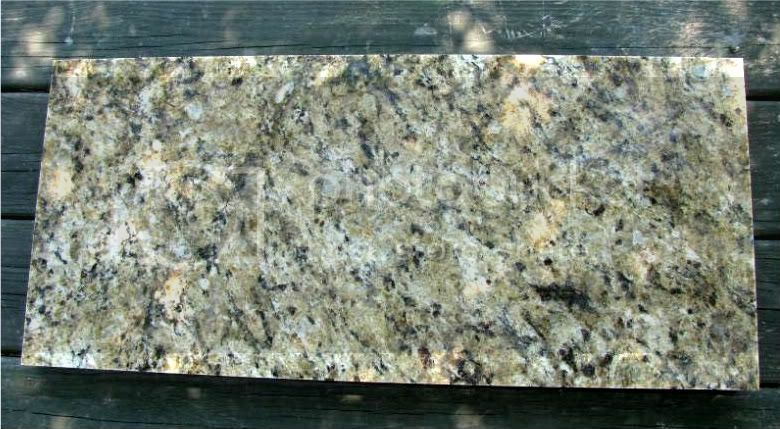 The folks at SGG were very helpful and I was able to obtain the beautiful piece of granite you see below. It measures about 1.25″ x 12.25″ x 25″. This entry was posted on Sunday, May 3rd, 2009 at 7:25 pm	and posted in Projects. You can follow any responses to this entry through the RSS 2.0 feed. « Tapering Twist: Fall or Thong?